Grace: [Del shows a pink electronic device to Grace] I don't know what that is. Del: [Del opens the device revealing the batteries inside] Batteries are the most important commodity the dead can offer. Grace: The necrophiliac in me would have to disagree. A slow, eerie, romantic nightmare. I Think We're Alone Now is not the typical post-apocalyptic film most audiences are used to seeing. After looking at the gorgeous poster and watching half the trailer to this movie, my interest grew. The further I looked into the project and the more I learned about the cast and crew involved, I was hooked. 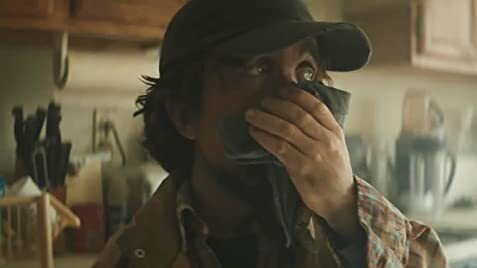 The film is directed by Reed Morano and stars Peter Dinklage and Elle Fanning. The story follows a seemingly lone survivor of a mysterious apocalypse that stumbles upon a young girl. Throughout the film the two talk and bond, living in this quiet world Morano builds for his characters. Dinklage's acting was quiet and subtle, very rarely talking and communicating in glances. Fanning's character is loud and full of energy. The two have great chemistry. The film's romance is similar to Lost in Translation but isn't executed as well. Throughout the film it seems they are close, but never really romantic, just surviving. If it was built upon more, execution would be better. The cinematography in the film is spectacular. Morano's past in cinematography shines in this project. The atmosphere is built upon with the film relying on natural lighting. This has an amazing effect on the environment, giving it life and making it seem real. There are downsides to this movie. About two thirds of the way into the movie, it seems to take a total shift in the mood and story. The ending seemed like it didn't belong, ripped out of a mid-two thousands teen dystopian book. While the ending didn't ruin the film, it still left me unsatisfied. While the runtime of this film is just over an hour and thirty minutes, it takes its time. If you're going into this expecting a fast pace movie with quick dialogue and fast results, this movie isn't for you. If you're a fan of character studies and long, interrupted takes, you'll more than likely enjoy this movie. 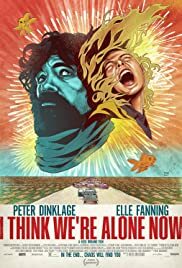 Overall, I Think We're Alone Now is an experience that I haven't had in a theater in a while. It's different than most of the films in theaters this year which is refreshing. It teaches people the importance of a strong and satisfying ending and how not to do that, but also how to set up an effective and interesting universe Check it out. 65 of 92 people found this review helpful. Was this review helpful to you?